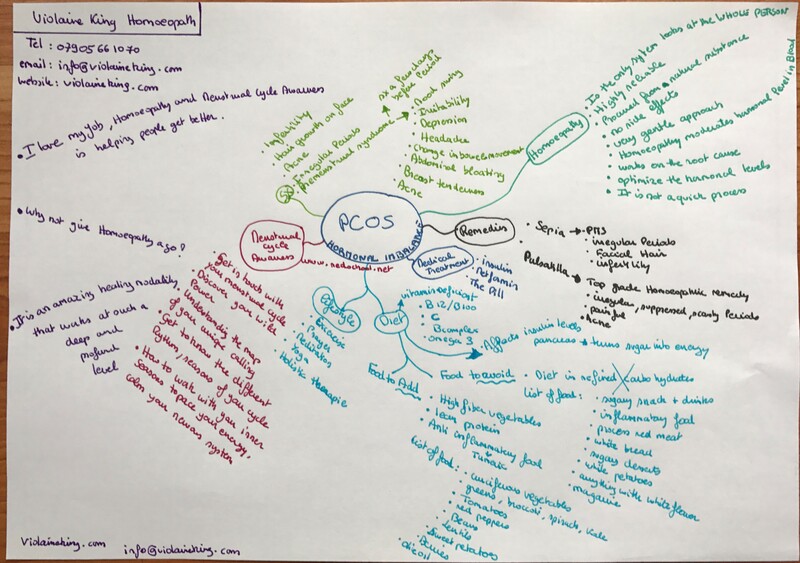 Polycystic ovarian syndrome information in a mind map format. Homeopathy looks at the whole person and works on the root cause. Click on the image for full resolution.